(MENAFN - Khaleej Times) Culture as a cohesive force and a diplomatic tool to promote inclusivity and peace in the age of technology will be at the heart of all discussions in Abu Dhabi this week, as Abu Dhabi hosts some of the most influential figures from the art and cultural world. The 2019 Culture Summit kicked off on Monday (April 8) at the Manarat Al Saadiyat with experts and culture vultures from art organisations, museums and non-government organisations, like the Royal Academy of Arts, Unesco and the Solomon R Guggenheim Museum. Discussions and debates revolved around 'Cultural Responsibility and New Technology'. 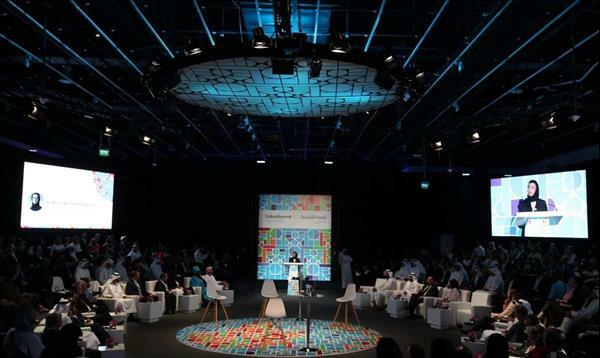 Speaking at the opening session, Noura bint Mohammed Al Kaabi, Minister of Culture and Knowledge Development, said that the title of the summit "summarises the current needs of technology and how we, as officials and individuals in the cultural and creative sector, can take responsibility for the technological breakthrough". Though technology has become a tool that will shape the future of art, Al Kaabi stressed that "this technology will not drive us but we will be driving and controlling it". The minister said culture should not be confined to a specific level as it is meant for everyone, and "it is time we ask ourselves about the relationship between art and machine". Mohamed Khalifa Al Mubarak, Chairman of the Department of Culture and Tourism - Abu Dhabi, said that Abu Dhabi's purpose in hosting the summit is to "know each other a little bit more, to learn from each other, to solve each other's problems". Elaborating on the need to be culturally aware, Al Mubarak said: "We want music in our schools; we want museums to open for everybody and we want our kids to know who Gauguin is." Minister of State Zaki Nusseibeh, on the other hand, shed light on the upside and negatives of technology when he moderated the introductory panel on 'Culture Diplomacy'. "When talking about the role and responsibility of cultural diplomacy in a connected yet polarised world, we have to admit that though cultural identity is an important force and factor that can be used to bring cohesion to communities...specific cultural identities can also be used to shackle groups in isolated bubbles where they identify other racial and ethnic groups as enemies. "This isolation is magnified in the eco-chambers that the new technology brings them," said Nusseibeh. Other panel discussions on the opening day covered topics such as 'how media can survive the age of technology';'how museums can creatively embrace the digital age' and 'why heritage has become a priority in crisis', among others. The five-day summit aims to identify ways in which culture can play a pivotal role in raising awareness of global issues, building cultural bridges and promoting positive change. When it is culture that determines our thinking process, which in turn influences our perceptions, it is only pertinent that a summit is held in this regard. Fully aware that culture is the invisible bond that ties people together, shaping their standards and giving the community an identity of its own, the subject attains relevance, considering it has to be maintained even as the country attains technological advancements. Anjana Sankar Anjana Sankar is a journalist by profession and a humanist by passion. Her cluttered desk is not indicative of her state of mind.